(BLACK PR WIRE) – Alexandria, Va. (Apr. 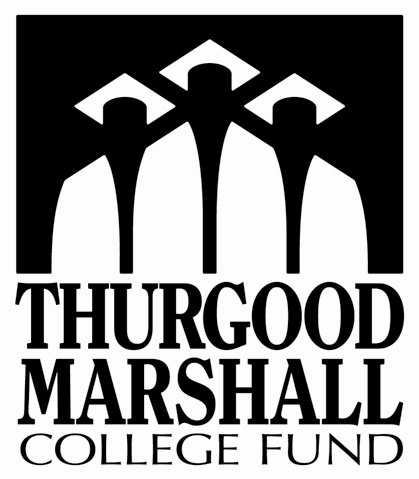 29, 2013) — The U.S. Army and the Thurgood Marshall College Fund (TMCF) have completed a cooperative arrangement designed to ensure students have greater access to the education, resources and training necessary to become leaders in science, technology, engineering and math (STEM) related Army career fields. Through this innovative outreach program, developed jointly between the U.S. Army Cadet Command and TMCF, TMCF representatives worked with more than 452 high schools, community based organizations and other local groups to provide information about the U.S. Army Reserve Officers’ Training Corp (ROTC) program. The outreach program, piloted in New York City, Los Angeles and Richmond-Petersburg, Va., was conducted between September 2012 and March 2013. Over the six month campaign, TMCF representatives provided information to more than 628 school administrators, counselors, parents and students. The information highlighted the two-, three- or four-year Army ROTC scholarship available to high-achieving students. Army ROTC scholarships are awarded based on student merit and grades and include up to full tuition scholarships, option for room and board in place of tuition, additional allowances for books and fees for Cadets, as well as a monthly living allowance. Those interested in learning more about Army ROTC were directed to a TMCF-Army program website and were then contacted by Army ROTC representatives. The program goal is to identify and attract students with a 3.7 high school cumulative GPA; minimum scores of 1260 SAT and 27 ACT; and a varsity letter winner or equivalent athletic achievement. With careers in STEM related fields projected to grow by 29 percent between 2010 and 2020, the Army and TMCF share a commitment to preparing minority students for academic and career success. “TMCF is committed to creating the next generation of leaders within the STEM fields. This program with the U.S. Army has given us the opportunity to expand our mission to high schools as we prepare to launch our new High School to Higher Education (H2H) Program. Preparing students at the K-12 level is critical and partnerships and innovative programs like this will create a new pipeline of talented students to our member-schools,” said Johnny C. Taylor, Jr., President and CEO of the Thurgood Marshall College Fund. College graduates in the STEM fields can chart technology careers in the U.S. Army. As one of the nation’s largest providers of college scholarships, the U.S. Army has provided more than $10 million to students at HBCUs. Further, the Army Research Laboratory (ARL) has formed close working arrangements with Historically Black Colleges and Universities/Minority Institutions (HBCU/MI) to provide research programs and internships that address the projected shortfall of scientists and engineers among diverse communities. TMCF supports and represents nearly 300,000 students attending its 47 member-schools that include public Historically Black Colleges and Universities (HBCUs), medical and law schools.